Weddings call for a celebration. This is one day that people expect to be the best in their life. Every minute detail of decor can make a difference and add glamour and beauty to the wedding venue. Be it the chairs or the tables, both of them hold the capability to make the place shine if the decor is done the right way. Tablecloths are one thing and table overlays for weddings another. Table overlays are extra table covers that partially cover the top of the tablecloths and act as a cherry on the top. These covers add elegance and beauty to the decor which makes the event venue look attractive and decent. Want to know why choosing table overlays could be a good investment? Then, read on. Simple tablecloths are a thing of the past now. Table overlays or extra table covering is the new revolution in the world of decor. Whether it is the organza table overlay or a satin overlay, the impact that it puts on venue decor is noteworthy. Table overlays can be contrasted with tablecloths and chair covers to add that extra attractiveness. This would add to the dining experience of guest and the ball would definitely end in your court when people would boast about the decor later. 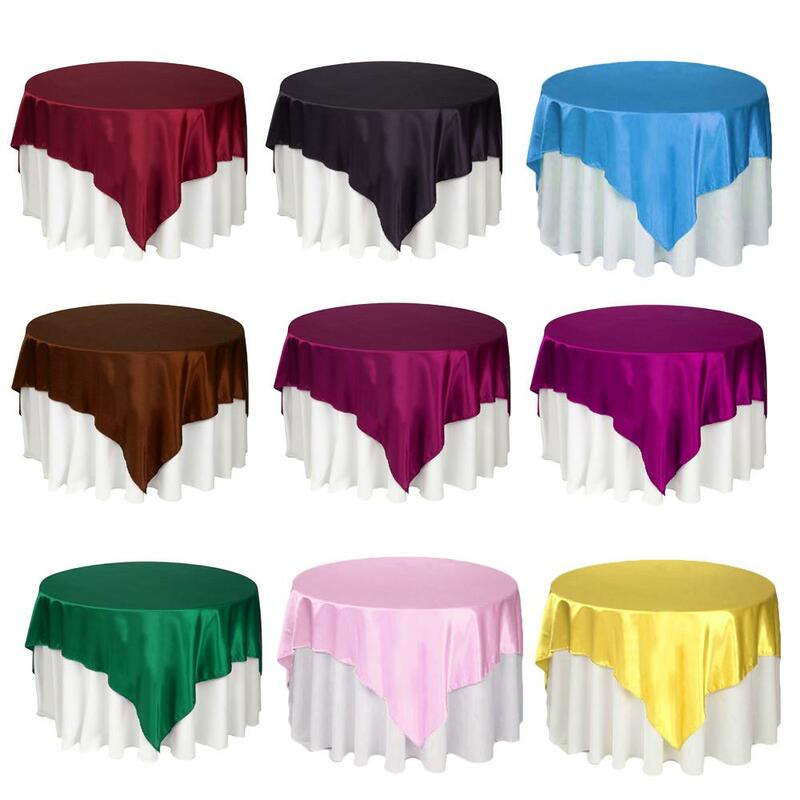 When looking for a combination of tablecloths, table overlays, and affordable chair covers, buying online could be a reliable option. Be it the material variance, the size or the color variance; a variety that table overlays offer the option to customize the wedding decor well. Organza or the sheer fabric made from silk looks elegant and is used extensively used in decor arena. On the other hand, the satin table overlays make the decor look glossy and attractive. From black to white all types of colors are available for table overlays that one could choose from. An added advantage of table overlays is that they are also available in varied size so that they do not look clumsy and ruin the idea of overlaying altogether. You could also look for chair covers for sale online to match to the differently styled table overlays. A perfect wedding is all about how you present things. Doing what everyone does is the thing of the past now. Thinking out of the box and adding an oomph factor to the existing decor idea can make a difference. Adding table overlays to top-up the tablecloths and contrasting chair covers to complement the looks can add to the overall presentation value. If everything looks dreamy and perfect, nothing could be more beautiful than that. You could easily rent chair covers in NYA along with matching table overlays and contrasting tablecloths when where to buy decor essentials is in question. Sometimes tablecloths may become dirty over a period of time. 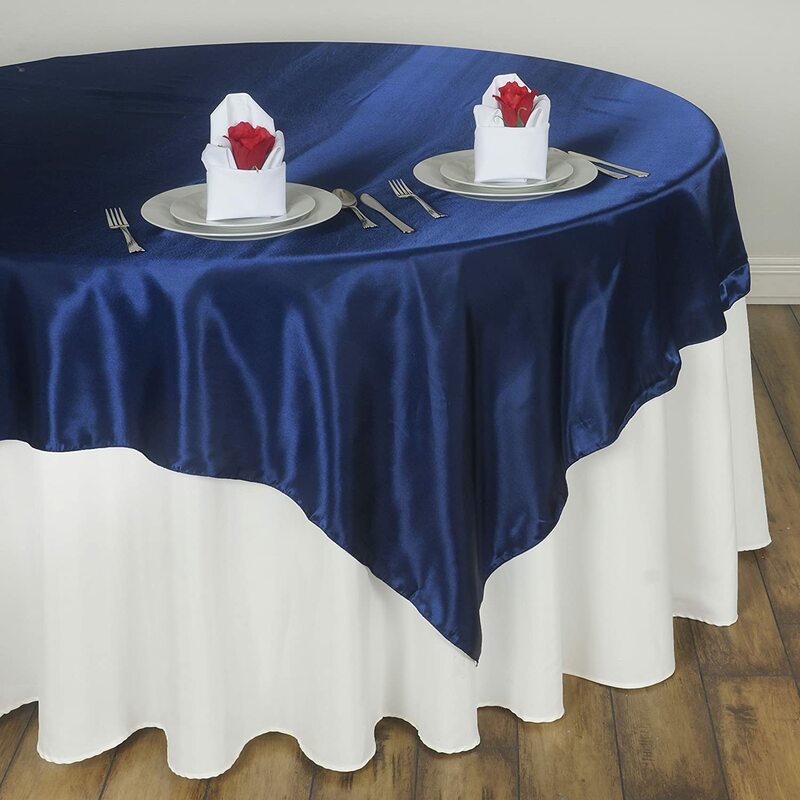 But when you add table overlays to top it all, it would protect the tablecloth from dirt, dust, and stains. Also, table overlays are easier to clean owing to its smaller dimensions. Opt for contrasting table overlays that not only complements the tablecloth in terms of color but the style too. Also, wedding chair cover rental options can be explored when looking for a comprehensive set of toning decor options. These were some benefits you would get when buying table overlays for your wedding decor. Keep in mind to look for wedding table overlays and tablecloths and wedding chair cover rentals options online to save big on decor options.